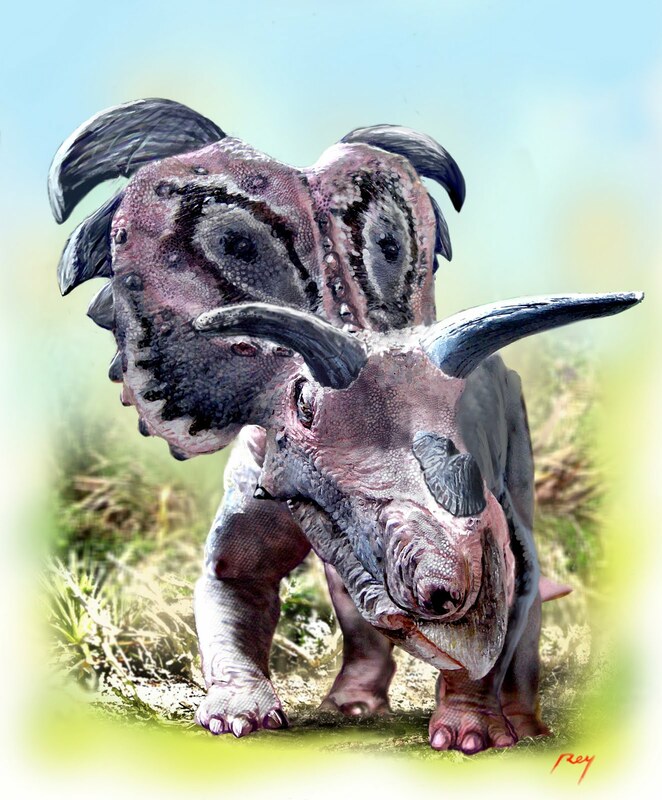 Michael J. Ryan, Ph.D., a scientist at The Cleveland Museum of Natural History, has announced the discovery of a new horned dinosaur, Medusaceratops lokii. Approximately 20 feet long and weighing more than 2 tons, the newly identified plant-eating dinosaur lived nearly 78 million years ago during the Late Cretaceous period in what is now Montana. Its identification marks the discovery of a new genus of horned dinosaur. Ryan, curator and head of Vertebrate Paleontology at the Museum, published his findings on the new genus in the book, “New Perspectives on Horned Dinosaurs: The Royal Tyrrell Museum Ceratopsian Symposium,” available from Indiana University Press. Ryan was the book’s lead editor. Medusaceratops belongs to the Chasmosaurinae subfamily of the horned dinosaur family Ceratopsidae. The other subfamily is Centrosaurinae. The specimen is the first Campanian-aged chasmosaurine ceratopsid found in Montana. It is also the oldest known Chasmosaurine ceratopsid. The new dinosaur was discovered in a bonebed on private land located along the Milk River in North Central Montana. Fossilized bones from the site were acquired by Canada Fossil, Inc., of Calgary, Alberta, in the mid-1990s. The company consulted with Ryan and his colleagues to identify material from the site. At first, the scientists could not make a positive identification. Medusaceratops had giant brow bones more than 3 feet long over each eye, and a large, shield-like frill off the back of its skull adorned with large curling hooks. 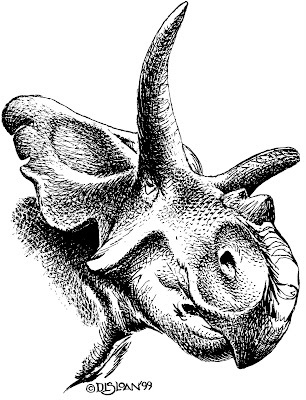 Medusaceratops lokii means “Loki’s horned-faced Medusa,” referring to the thickened, fossilized, snake-like hooks on the side of the frill. It was named after Loki, the Norse god of mischief, because the new dinosaur initially caused scientists some confusion. Eventually Ryan found a complete articulated skull of a centrosaur with long brow horns in southern Alberta of what appeared to be the new animal from Montana, and named it Albertaceratops in 2007. At that time, he assumed he was looking at a stray that had literally crossed the international border millions of years ago. After reexamining the Montanan material more recently, Ryan realized that at least some of the material in the Montana bonebed was not Albertaceratops. Some of the elements were much larger than any other horned dinosaur from the same time period, including Albertaceratops. And even though Albertaceratops and Medusaceratops are superficially very similar, the shape and number of the hooks and ornaments along the edge of the frill actually puts them in separate horned dinosaur groups, with Medusaceratops being a chasmosaur. “Although the ornamentation on the frill is pretty spectacular, it probably was not used for defense against predators; rather it was more likely prehistoric “bling” used to attract a mate,” said co-author Anthony Russell, Ph.D., professor of biological sciences at the University of Calgary in Alberta. “Medusaceratops is the oldest member of the Chasmosaurinae in North America and shows that the group, like its most famous member, Triceratops, had long brow horns and were fairly large when they first evolved,” said Ryan. “But later chasmosaurs that are just a bit younger than Medusaceratops tend to have much shorter horns and have much smaller, lighter bodies. The research was originally conducted when Ryan was a Ph.D. candidate working with Dr. Russell at the University of Calgary in Alberta, Canada. Much of the material, including the holotype, is now in the collection of the Wyoming Dinosaur Center in Thermopolis, Wyoming, with other material curated at the Royal Tyrrell Museum in Drumheller, Alberta. The National Oceanic and Atmospheric Administration has developed the following answers regarding the potential impact of a hurricane on the British Petroleum Oil Spill Disaster. • Most hurricanes span an enormous area of the ocean (200-300 miles) — far wider than the current size of the spill. • If the slick remains small in comparison to a typical hurricane’s general environment and size, the anticipated impact on the hurricane would be minimal. • The oil is not expected to appreciably affect either the intensity or the track of a fully developed tropical storm or hurricane. • The oil slick would have little effect on the storm surge or near-shore wave heights. This image from NASA's Airborne Visible/Infrared Imaging Spectrometer instrument (AVIRIS) was collected on May 17, 2010, over the site of the Deepwater Horizon BP oil spill disaster. 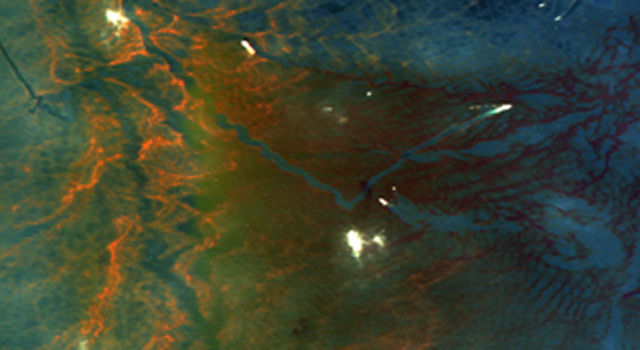 In the image, crude oil on the surface appears orange to brown. The measurements made by AVIRIS for each point in this image allow scientists to detail the characteristics of the oil on the surface using spectroscopic methods. AVIRIS has measured more than 100,000 square kilometers (38,610 square miles) of data in support of the national oil spill response. What will the hurricane do to the oil slick in the Gulf? • The high winds and seas will mix and “weather” the oil which can help accelerate the biodegradation process. • The high winds may distribute oil over a wider area, but it is difficult to model exactly where the oil may be transported. • Movement of oil would depend greatly on the track of the hurricane. • Storms’ surges may carry oil into the coastline and inland as far as the surge reaches. Debris resulting from the hurricane may be contaminated by oil from the Deepwater Horizon incident, but also from other oil releases that may occur during the storm. What will hurricane winds do? • A hurricane passing to the west of the oil slick could drive oil to the coast. • A hurricane passing to the east of the slick could drive the oil away from the coast. • However, the details of the evolution of the storm, the track, the wind speed, the size, the forward motion and the intensity are all unknowns at this point and may alter this general statement. Will the oil slick help or hurt a storm from developing in the Gulf? • Evaporation from the sea surface fuels tropical storms and hurricanes. Over relatively calm water (such as for a developing tropical depression or disturbance), in theory, an oil slick could suppress evaporation if the layer is thick enough, by not allowing contact of the water to the air. • With less evaporation one might assume there would be less moisture available to fuel the hurricane and thus reduce its strength. • This would allow much of the water to remain in touch with the overlying air and greatly reduce any effect the oil may have on evaporation. • Therefore, the oil slick is not likely to have a significant impact on the hurricane. Will the hurricane pull up the oil that is below the surface of the Gulf? • All of the sampling to date shows that except near the leaking well, the subsurface dispersed oil is in parts per million levels or less. The hurricane will mix the waters of the Gulf and disperse the oil even further. Have we had experience in the past with hurricanes and oil spills? • Yes, but our experience has been primarily with oil spills that occurred because of the storm, not from an existing oil slick and an ongoing release of oil from the seafloor. • Dozens of significant spills and hundreds of smaller spills occurred from offshore facilities, shoreside facilities, vessel sinkings, etc. Will there be oil in the rain related to a hurricane? • No. Hurricanes draw water vapor from a large area, much larger than the area covered by oil, and rain is produced in clouds circulating the hurricane. A tough, hard-working particle known as ZIF-8, a nano-zeolite, that can selectively remove carbon dioxide from a complex mixture of gases was designed by scientists at Pacific Northwest National Laboratory. Similar materials available today are very delicate, unable to tolerate exposure to water and air. The hexagonal crystals are far from delicate, and the crystals were designed using a straightforward approach that relies on three readily available chemicals. Why it matters: Natural gas often contains carbon dioxide and other impurities that reduce the effectiveness of this common fuel. Industries need a material to remove the carbon dioxide. The ideal material is affordable, selective, removes large amounts of carbon dioxide, and can be recharged. A rechargeable material traps its target and then releases it under specific circumstances. Rechargeable materials can be used repeatedly, reducing costs and waste. Nano ZIF-8 might prove to be the answer. Methods: Working with the chemicals at about 100 degrees centigrade, the temperature at which water boils, the researchers melted off-the-shelf zinc nitrate and 2-methyl imidazole with a third chemical known as a surfactant, which helped the chemicals to mix to form hexagonal shaped crystals. They washed out the impurities and dried the crystals. The surfactant in the mixture caused the chemicals to assemble into nanoscale ZIF-8, a white powder resembling baking flour. Next, the team did extensive experiments on the particles with transmission electron microscopes, scanning electron microscopes, and electron tomography at the Department of Energy's EMSL. They found that the crystals had a diameter of about 50 nanometers with a wall thickness of about 40 nanometers and very high surface area. "A gram of this stuff has the area of a football field," said Dr. Praveen Thallapally, a materials scientist at PNNL and co-lead on this research with Dr. Jun Liu and Dr. Greg Exarhos. What's next: Funded by DOE's Office of Basic Energy Sciences, the team will be conducting research to increase the surface area of the material. While the material has a high surface area, it is about a factor of 3 lower than the more common material available today. "We want to increase that surface area, to really push the envelope," said Exarhos. Acknowledgments: DOE's Office of Basic Energy Sciences funded this study by the interdisciplinary team of Satish Nune, Praveen Thallapally, Alice Dohnalkova, Chongmin Wang, Jun Liu, and Greg Exarhos of PNNL. Key work was done in DOE's EMSL, a national scientific user facility. “The Enterprise Development Center (EDC) at the New Jersey Institute of Technology (NJIT) (Newark, NJ) is still growing rapidly to be the largest high-tech business incubator in the USA with 95 portfolio companies, despite the tough economy. Entrepreneurs and individual initiatives in the EDC are working to help NJ solve economic growth problems and make NJ a state leading in technology development and the right place to live and work!,” said Jerry Creighton Sr., EDC Executive Director. Companies with cutting-edge research that will be commercialized to produce a better electric car battery or develop a new treatment for hay fever recently became new clients at EDC. A total of six new organizations have come on board. CleverSpoke, Inc. a mobile-service enabler, provides an application platform for voice interaction with messaging. CleverSpoke is not a text-to-speech or speech-to-text software technology, but combines the best in class technologies with software to deliver a highly-scalable platform. CleverSpoke's product, AutoSpoke, allows for “hands free” communication keeping the drivers’ eyes on the roads and hands on the wheel. Telephone: (732) 309-1003. EDC is the state’s oldest and largest incubator for technology-based and life-science companies. Part of the NJIT campus in Newark’s Innovation Zone and University Heights Science Park, the EDC is convenient to New Jersey’s largest transportation hub. Since 1988, the EDC has helped entrepreneurs rapidly commercialize promising concepts and reduce start-up risks, while greatly increasing their chances of success. Participation is open to early-stage companies that have a proprietary technology as a significant source of revenue. The EDC provides office and lab space, financial assistance, business and technical services, and the shared business acumen of the Center’s management staff. The EDC has graduated more than 85 successful businesses. Companies now at EDC total 95 and employ over 300 people full-time, along with some 100 student interns. In 2009, these companies attracted $58 million in funding and created $40 million in combined revenue. Among these are firms building marketplace success with breakthrough work in areas such as video e-learning, renewable energy, products in the life sciences for medical diagnosis and therapy, information technology, telecommunications, and advanced materials, including nanotechnology. Analog Devices, Inc., a company specializing in semiconductors for signal processing applications, is furnishing its high performance iMEMS gyroscope technology for a new aircraft flight safety and training tool developed by Appareo Systems, a Fargo, North Dakota, a company that makes light weight flight data recorders and 3-D flight analysis software. In an international push to enhance helicopter safety, the ALERTS (Aircraft Logging and Event Recording for Training and Safety) Vision 1000 flight data monitoring solutionwas designed in partnership with Eurocopter, a Division of EADS, a specialist in aerospace, defense and related services and the world's No. 1 helicopter manufacturer serving the civil and parapublic market. Among Appareo's clients are companies working in the oil and natural gas industries, Helicopter Emergency Medical Services (HEMS) operators, and the United States military, all of whom benefit from significantly improved flight data monitoring. "The ability to track, record and analyze the exact pitch, roll and yaw of the aircraft provides operators with an incredibly valuable tool to improve the flying performance of student pilots and experienced aviators alike," said Robert Weinmann, embedded systems director for Appareo Systems. "Analog Devices' iMEMS gyroscope was selected because it aligned perfectly with the needs of our customers for a small, light-weight gyroscope that was cost-effective and delivered exceptionally accurate performance." "The Vision 1000 is already being heralded by the avionics industry as one of the best training tools to come to this market," said Mark Martin, vice president, MEMS and Sensor Technology Group, Analog Devices. "ADI's ability to provide Appareo with a single-chip, high-performance gyroscope that meets rigorous aviation industry performance and quality standards is another example of how the need for high-performance MEMS motion sensors is spurring a revolution and the next wave of MEMS sensor adoption in many technologically advanced markets." EV Group (EVG), a leading supplier of wafer bonding and lithography equipment for the MEMS, nanotechnology and semiconductor markets, on May 31 announced that world-renowned research institute,Fraunhofer IZM-ASSID, has placed an order for two EVG temporary bonding and debonding (TB/DB) systems for thin-wafer handling and processing for 3D ICs. ASSID (All Silicon System Integration Dresden), a new project group of Fraunhofer IZM, will use EVG's systems for advanced 3D wafer-level process integration flow development for Fraunhofer's industrial partners. Both EVG systems will be installed later this year at ASSID's state-of-the-art facility in Dresden—the first Fraunhofer Center with a 300-mm line dedicated to developing processes for high-volume manufacturing of 3D ICs. This latest order from Fraunhofer IZM-ASSID bolsters EVG's market-leading installed base of temporary bonding and debonding systems—currently totaling more than 60 system installations worldwide. 3D IC technology is gaining momentum as the technology of choice in addressing consumer demand for smaller, lower-power electronic devices with greater functionality. However, unlike manufacturing conventional ICs, which are built on silicon wafers approximately 750-microns thick, 3D ICs require the use of much thinner wafers of about 100 microns or less. Given the inherent fragility of these ultra-thin wafers, thin-wafer processing requires TB/DB technology to ensure the structural integrity of the wafer—particularly when it undergoes high-temperature, high-stress processes such as etching and metallization. By temporarily bonding the ultra-thin wafer to a carrier substrate and then leveraging a stress-free debonding approach after back side processing, TB/DB technology offers integrity-assured processing, which results in higher yield. EVG's industry-provenTB/DB technology is designed to support a wide variety of processes—including those already established and in industrial use today, as well as those outlined in roadmap requirements for future 3D device generations. "At Fraunhofer IZM-ASSID, we develop highly tailored processes for leading semiconductor manufacturers with very different requirements, and we need flexible and scalable process solutions to meet a wide variety of needs," said Jurgen Wolf, manager and coordinator of ASSID. "EV Group's temporary bonding and debonding platforms enable seamless development and evolution of the 3D integration processes and technologies for our customers. The success we have had with previous EV Group systems, combined with superior demo results and EVG's overall process expertise in 3D packaging, were all key factors in our selection criteria for this order." "This is a very important win for EV Group, as Fraunhofer is one of the premiere research facilities in Europe dedicated to 3D IC technology advancement," noted EV Group executive technology director, Paul Lindner. "This marks another step forward in establishing EV Group's technology solutions as the industry standard for wafer-level packaging applications, particularly 3D ICs. We look forward to a mutually beneficial cooperation with Fraunhofer IZM and its ASSID project, and taking our industry-leading technology and process expertise in 3D packaging to a new level." The wafer bonding and thin-wafer handling equipment market represents another high-growth segment in which EVG has successfully established its technology process and expertise. Its dominant position in this market contributed to EVG's financial success in 2009, when the company continued to see an increase in both order intake and revenue despite the global economic recession. EVG and Fraunhofer-IZM are both members of the EMC-3D Consortium, where they have collaborated closely, along with other consortium members, on lowering 3D IC manufacturing costs to incite greater technology adoption. Fraunhofer IZM has long-term experience in wafer level packaging and system integration technologies, especially with respect to 3D integration. New wafer level processes are developed and new materials are evaluated and implemented into a complete process integration flow. Upgrading 3D wafer level technologies to 300-mm wafer size is the next step in effectively assisting leading companies in meeting the performance, functionality and scaling requirements of their future products. "All Silicon System Integration Dresden" (ASSID) has been established as part of the Fraunhofer IZM Berlin to meet this specific challenge. The new center has a state-of-the-art clean-room facility and is equipped with a complete 300-mm process line for TSV formation, TSV post-processing on wafer frontside and backside, 3D device stacking assembly, as well as testing and failure analysis. All these ASSID activities are embedded into the overall Fraunhofer IZM's 3D system integration strategy. ASSID's facilities and know-how are especially tailored to partners in industry for research and development projects, as well as prototype realization. We are also establishing a network for advanced system integration technologies together with other research institutes and universities. Founded in 1980, EVG is headquartered in St. Florian, Austria, and operates via a global customer support network, with subsidiaries in Tempe, Ariz.; Albany, N.Y.; Yokohama and Fukuoka, Japan; Seoul, Korea and Chung-Li, Taiwan. The company's unique Triple i-approach (invent - innovate - implement) is supported by a vertical integration, allowing EVG to respond quickly to new technology developments, apply the technology to manufacturing challenges and expedite device manufacturing in high volume. More information is available at www.EVGroup.com. Ongoing concerns about the plight of polar bears becoming victims of climate change are now heightened with the release of a paper that has three University of Alberta researchers among its authors. Peter Molnar, of the University of Alberta’s Centre for Mathematical Biology, and university professors Andrew Derocher and Mark Lewis, used mathematical modeling to show polar bear populations could plummet if ice-free periods in the Arctic continue to increase. “Mathematical modeling is a quantum leap forward in our understanding of how climate change will affect these animals,” said Derocher. The research team assigned numerical values to study how long male polar bears located on land near Churchill, Manitoba can go without food when they’re cut off from their hunting grounds on the sea ice of Hudson Bay. Thanks to previous studies researchers know the weight and energy storing capacity of polar bears and the warming trend in the North is well documented. “We know climate change has increased the ice-free period in Hudson Bay by three weeks over the last three decades,” said Derocher. 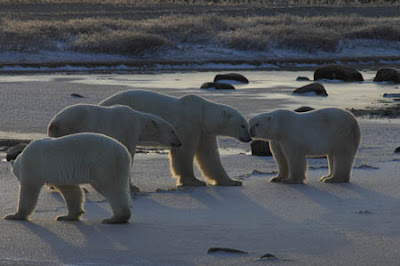 Records also show that since 1990 ice-free periods in Hudson Bay vary from 90 to 135 days and that the current polar bear mortality rate is around three per cent. With climate change, predictions indicate that the ice-free period will increase. Derocher has real concerns for the 900 polar bears in the study area. “If the ice-free period extends to 180 days our modeling shows upward of half of those animals will die.” An important finding is that the changes could happen very quickly and this contrasts with the slow decline in polar populations that have been found to date. Accounting for the changing efficiency of males finding females, Derocher says the team concluded the pregnancy rate could drop by 30 percent. Derocher says this research gives Ottawa a longitudinal window into the effects of climate change on an Arctic species and he’s hoping something will be done. The work of Molnar, Derocher and their colleagues is published in the recent issue of Biological Conservation. CO2 capture, transport and storage, also referred to as CCS, may well play an important role in reducing emissions of the greenhouse gas CO2, however, it should not be viewed as the answer to all environmental problems. CCS can actually contribute to other environmental problems, depending on the technology used. These are some of the conclusions of the PhD research conducted by Joris Koornneef at Utrecht University. His dissertation describes the effects of CCS on the environment, health and safety. It has been established with a high degree of certainty that greenhouse gas emissions from human activities are the cause of climate change. To limit this effect, emissions of greenhouse gases, including CO2, must be kept to a minimum wherever possible. One tool to achieve this is CCS, which entails the capture of greenhouse gases at sources such as power stations, followed by the compression, transport and underground storage of the gasses. “Before CCS can be carried out on a large scale, it must be clear how it will affect the environment, public health and safety” asserts Koornneef, whose research included an analysis of the total environmental impact of CCS and the risks of transporting CO2 by pipeline. As part of the life-cycle analysis, Koornneef assessed the environmental impact of the entire chain for coal fired power stations involving CCS – from the coal mine to the generation of electricity. He then looked at the impact on various environmental problems. “CCS substantially reduces the contribution to the greenhouse effect,” says Koornneef. “CCS can also be beneficial at a more localized level, by significantly reducing emissions of fine particulate matter and sulfur dioxide, for example. However, additional energy is required for the capture, transport and storage of CO2.” Koornneef demonstrates that the use of post-combustion - a particular method of CO2 capture - at coal fired power stations, will lead to increased acidification and nitrogen pollution. It also contributes to other environmental problems, such as resource depletion and the destruction of the ozone layer. Selecting the right technology and improving existing technology will greatly affect the total environmental impact of CCS. Koornneef also studied the uncertain factors in the risk analysis of CO2 transport by pipeline. This is an important aspect in the public debate on the safety of CO2 storage near Barendrecht in the Netherlands. According to Koornneef, the existing models have not been tested for high pressure CO2 release and dispersion. “However, that’s not to say that CO2 pipelines are unsafe. It looks as if the risks can be mitigated quite effectively with current technology, such as safety valves,” says Koornneef. Finally, Koornneef also researched the risk studies associated with CO2 storage projects, concluding that accurate calculation of the risks is not currently possible. However, this does not mean that we lack the knowledge to assess whether underground storage can be performed safely. Koornneef believes it is highly unlikely that CO2 will escape and have negative effects on the environment or public health. Nonetheless, it is important that storage projects be monitored in order to establish more precisely how CO2 behaves when stored underground, for instance. This study was conducted within the context of the Dutch research program CATO (which stands for CO2 capture, transport and storage), which took place from 2005 to 2009. Funded partly by the government, this research program was a consortium of businesses, universities (including Utrecht University), research institutes and interest groups. In 2009, the research was continued with the launch of the CATO-2 program. The Dutch government has decided to start two large scale CCS demonstration projects in 2015. CATO-2 is the Dutch national CCS program. It includes a consortium of nearly 40 partners working together to help realise the governments plans. CATO-2 has an extensive budget and is expected to be running from 2009 until 2014. This budget is provided by the Dutch government and CATO consortium partners. Bring two materials that are not themselves conductive into contact and, exactly at their interface, something remarkable happens: at that precise point, conduction is possible. Researchers from the MESA+ Institute for Nanotechnology of the University of Twente, together with colleagues from Munich, Berkeley and Davis, have now also demonstrated that at this interface two parallel conductive ‘paths’ are created, just one nanometer apart. That is not only a breakthrough in the understanding of the phenomenon, it also opens up possibilities for new forms of nanoelectronics. The researchers have published their findings in Physical Review Letters. The researchers from the University of Twente had earlier demonstrated that two non-conductive metal oxides could become conductive at the exact point where they come into contact, and that non-magnetic metal oxides 'suddenly' become magnetic at their interface, for example in the combination of strontium titanate and lanthanum aluminate. When these two complex oxides come into contact, various ions are present on both crystal interfaces, all with their own charges. When the two oxides come into contact, a rearrangement of the charge, known as electronic reconstruction, takes place. At the point where the electrons are more numerous, these electrons can now conduct electricity. At the same time, it would be expected that holes - positive charge carriers - would be created elsewhere in the structure, where the original electrons were located. The new calculations and experiments have now shown that these holes do indeed exist, and that the holes and the electrons move in parallel to each other, with a space of just one nanometer between them. This is not only a breakthrough in the understanding of conduction at the interface, it also opens up the way for new applications that are not yet possible in current semi-conductor electronics. One exciting possibility, for example, is that interaction might also occur in these conductive layers, which are so close together, with new particles and quantum states as a result. 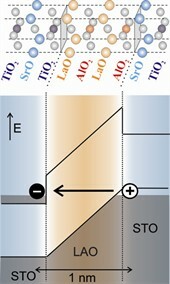 In a stacked atomic structure of lanthanum oxide with a strontium titanate capping layer on a substrate of strontium titanate (crystal structure from left to right, top of illustration), the internal potential in the LAO layer brings about a redivision of charge. The resulting electrons on the interface leave behind holes that are just one nanometer apart. The electrons (left) and gaps (right) in parallel produce a contribution to the electrical conductivity. What is more, until now it was assumed that oxides with a specific thickness were needed to achieve this effect. However, the newly published research shows that the mechanism occurs even with a thickness of a single unit cell: just one layer in the crystal. The MESA+ Institute for Nanotechnology has unique facilities for building up these types of oxides atomic layer by atomic layer, and in this way creating materials with an astonishingly wide range of properties. The new results were achieved by a large international research team. As well as Munich, Davis and Berkeley, four MESA+ research groups were involved: Inorganic Materials Science, NanoElectronic Materials, Physical Aspects of Nanoelectronics and Interfaces and Correlated Electron Systems. The research was funded from the Netherlands by FOM, NWO, VIDI and VICI grants and NANONED. The article 'Parallel Electron-Hole Bilayer Conductivity from Electronic Interface Reconstruction', by R. Pentcheva (Munich), M. Huijben (MESA+), K. Otte (Munich), W. E. Pickett (Davis), J. E. Kleibeuker (MESA+), J. Huijben (MESA+), H. Boschker (MESA+), D. Kockmann (MESA+), W. Siemons (Berkeley), G. Koster (MESA+), H. J. W. Zandvliet (MESA+), G. Rijnders (MESA+), D. H. A. Blank (MESA+), H. Hilgenkamp (MESA+) and A. Brinkman (MESA+) has already been published online on the website of Physical Review Letters and will soon appear in print. Davide Crapanzano of the University of Twente and the IMPACT research institute has demonstrated the conditions under which a new catalytic membrane can be used for the cheaper, faster and more energy-efficient production of raw materials for the plastics industry. In this way propane can be more quickly converted into propene, and then for example into polypropene, which is used as a raw material for garden furniture, car components and other products. Most plastics are manufactured from crude oil, and the processing of crude oil generates many alkanes, which are hydrocarbons that can really only be used as fuel. If these alkanes are converted into compounds that can be used as building blocks for plastics, however, they can be used in many other ways. Davide Crapanzano of the University of Twente has demonstrated the conditions under which a new catalytic membrane can be used to selectively convert alkanes into ingredients for plastic products such as garden furniture and car components. In the petrochemical industry the conversion of alkanes into monomers, the building blocks of plastics, is carried out through selective oxidation. In this process oxygen is used to change the hydrocarbons into the desired molecules. Selective oxidation has been used on a large scale for many years. The great disadvantage of the process, however, is that it only produces a small amount of the end product, because the desired molecules continue reacting very quickly, with the result that they combust, leaving CO2 and water. That results in high costs, many waste products and high energy use to separate the desired products from all the unwanted products. Crapanzano developed a new way of avoiding these drawbacks. Instead of mixing the alkane with oxygen, the PhD student used a membrane that is capable of conducting the oxygen ions. On one side of the membrane oxygen ions are produced from molecular oxygen, while on its other side the oxygen ions selectively react with the alkane, for example converting propane into propene. This prevents the desired products from oxidizing any further. Crapanzano investigated which materials are capable of reacting selectively with propane, and the conditions under which this is possible. It turned out that the concentration of the oxygen ions in particular has a major influence. The potential cost reductions are huge. Davide Crapanzano obtained his PhD on Friday 28 May from the Faculty of Science and Technology. He carried out his research in the Catalytic Processes and Materials research group and the IMPACT research institute, in collaboration with the Inorganic Membranes group. His tutors were Prof. Leon Lefferts and Dr Igor Babich. His thesis 'Reactivity of Oxygen Ions in Mixed Oxides in Dehydrogenation of Propane' is available in digital form on request. A new bioreactor system for cultivating bone cells reduces the number of actions that need to be taken in the process, and so lowers the cost of tissue culture. Frank Janssen of the University of Twente and the MIRA research institute developed this new bioreactor. With the new system the cells can be closely monitored during their growth, so that they grow as well as possible. Janssen obtained his PhD on 28 May from the faculty of Science and Technology. Sometimes a piece of bone has to be replaced by a new bone fragment, for example after an accident or illness. Bone tissue culture, where stem cells from the patient's bone marrow are combined with a suitable carrier material, is a promising technique for this. The method is used as an alternative for a bone transplant. There were a number of disadvantages to the bone tissue culture technique, however. Frank Janssen of the University of Twente therefore developed a special bioreactor in which stem cells from the bone marrow can grow into bone cells. He expects that the new system will be ready for clinical use in 5 to 10 years. The new bioreactor for bone tissue culture drastically reduces the number of steps in the procedure, and therefore lowers its cost. The bioreactor is a closed system, connected to a computer, so the cultivation conditions such as oxygen use, acidity and temperature can be tracked online, allowing much better monitoring of cell growth. Until now, a piece of bone was replaced by an autologous bone transplant, or by using bone tissue grown in culture jars. In an autologous bone transplant a piece of bone is removed from another part of the patient's body and placed in the defective area in a surgical operation. This is a major operation, with a fairly high risk of infection. Bone tissue culture is a good alternative, but it also has many disadvantages, because it is carried out in culture jars. These are plastic jars in which a limited number of cells can be cultivated. The technique also requires many human actions, and the cells cannot be closely monitored during their growing phase. NanoScope Services Ltd. An innovative European provider of outsourced microscopy and ion beam ‘nano-surgery’ services, announced the release of its novel ‘LiveFIB’TM web based consultancy capability. Customers may view their samples during modification and analysis at the nanometer level, live, over a web-based video conferencing facility. This powerful visual aid is combined with a simultaneous audio link which allows the real time collaboration between a nano-researcher and the expert FIB operator processing their samples. This sets a new efficiency standard for rapid prototyping and analysis. LiveFIBTM is offered free of charge, and can be accessed via shareware from your own home or office. This provides significant savings in time, carbon emissions and travel costs. 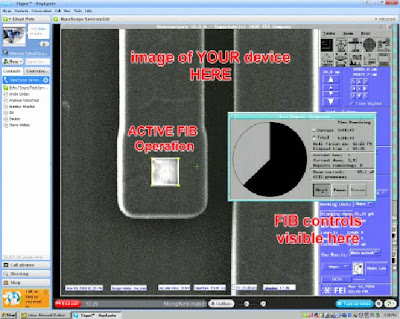 ‘LiveFIBTM effectively puts a focused ion beam microscope on every nano-researchers desk. It can be used for direct write nano-prototyping, 3D ‘section and view’ structural analysis and position exact FIBXTEM foil preparation for high resolution analysis of nanostructures and failures. Now you can ship your sample on one day, and be directing your nano-fabrication task, in real time, the next day over a video link.’ stated Alan Miller, director at NanoScope. ‘Every researcher who needs ion beam time, has access with the same ease and control as having their own instrument, but for a tiny fraction of the cost. Companies benefit from a commercially orientated service for similar costs to a full economic costing (FEC) University lab. University clients benefit from rapid access to top quality instrumentation and support, rather than wait for remote or oversubscribed centralised facilities’ he added. NanoScope is an independent European consultancy offering expert access to Focused Ion Beam (FIB) and Transmission electron microscopes ((S)TEM) on a commercial basis. We offer advanced microscopy services to the Nano-research, Materials science and Semiconductor design communities, specialising in fast turnaround and complex interventions on the most demanding samples. AIXTRON AG on May 31st announced an order for one 4-inch Black Magic deposition system from the University of California, Berkeley, USA. Capable of both SiGe nanowire and CNT (carbon nanotube) deposition, the system will be installed in the Laboratory for Nano Materials & Electronics by the local AIXTRON support team in the first half of 2010. Research underway at the UC Berkeley Laboratory for Nano Materials & Electronics covers a range of science and engineering disciplines but focuses on the integration of synthetic nanomaterials, such as CNT and semiconductor nanowires, in novel electronic applications, such as printed electronics, sensors and flexible photovoltaics. In 2009, Prof. Javey won the “Mohr Davidow Ventures (MDV) Innovators Award” and was also a recipient of a "2009 Young Innovators Under 35" (TR35) award by the Technology Review magazine. CVD Equipment Corporation (NASDAQ:CVV) on May 26th announced the signing of an exclusive Distribution Agreement with Graphene Laboratories, Inc. for Chemical Vapor Deposited (CVD) graphene products. Under this Agreement CVD Equipment Corporation will manufacture CVD grown graphene based materials and products and Graphene Laboratories, Inc. will market and sell them on a worldwide basis. CVD's Equipment Corporation’s Application Laboratory provides process development and material growth services for a wide range of advanced nanomaterials, i.e. carbon nanotubes, silicon and other nanowires, CVD graphene, transparent conducting oxide (TCO) materials and other CVD processes. It hosts a range of CVD research and production equipment that will be utilized for CVD Graphene production. Graphene, is a novel nanomaterial carbon film that is only a few atoms thick and possesses unparalleled electrical and mechanical properties as well as supreme stability and durability. CVD grown Graphene is projected to be used for production of Graphene-based electronics, sensors, MEMS, solar batteries, etc. Some of the CVD Graphene products sold by Graphene Laboratories Inc. will be marked with one or more trademarks from CVD Equipment Corporation, such as nMEMStarter™, nFoil™, and CVDGraphene™. "CVD Equipment Corporation is focusing on enabling the commercialization of tomorrow’s technologies,” says Karlheinz Strobl, VP of Business Development of CVD Equipment Corporation. “By leveraging the process development and manufacturing capabilities of our Application Laboratory and by collaborating with Graphene Laboratory Inc. on CVD Graphene based product developments we believe we can shorten the time to market for a range of already existing and future nano enabled products. Together, we are able to offer and ship a growing array of CVD Graphene products. Our initial product variety has already been supplied to our first customers. Graphene Laboratories, Inc. (www.graphenelab.com) is a spinout of Columbia University, a leading center for Graphene studies. The primary goal of Graphene Laboratories, Inc., located in the heart of Boston’s high-tech area, is to apply fundamental science and technology to bring functional Graphene materials and devices to market. The Company was founded by a group of experts in the field of nanomaterials, who possess extensive experience in characterization of structural and electronic properties of Graphene and deep fundamental and practical knowledge of processing Graphene-based materials. Graphene Laboratories Inc. also operates the Graphene Supermarket website facilitating the marketing and sales of Graphene products to customers around the globe. For further information please contact Elena Polyakova, Tel: (516) 382-8649, E-mail: elena.polyakova@graphenelab.com. To order CVD Graphene products or discuss your application visit the Graphene Supermarket: www.graphene-supermarket.com. CVD Equipment Corporation (NASDAQ: CVV) is a designer and manufacturer of standard and custom state-of-the-art equipment used in the development, design and manufacture of advanced electronic components, materials and coatings for research and industrial applications. It offers a broad range of chemical vapor deposition, gas control, and other equipment that is used by customers to research, design and manufacture semiconductors, solar cells, carbon nanotubes, nanowires, LEDs, MEMS, industrial coatings and equipment for surface mounting of components onto printed circuit boards. It also operates an Application Laboratory, which develops and manufactures a range of nano and CVD based materials and develops related processes and manufacturing solutions. Monterey Bay Aquarium Research Institute's (MBARI) Division of Marine Operations, under an agreement with the National Oceanic and Atmospheric Administration (NOAA), sent a high-tech robotic submersible to the oily waters of the Gulf of Mexico. The goal is to collect information about the oil plume from the Deepwater Horizon drilling rig accident for NOAA. 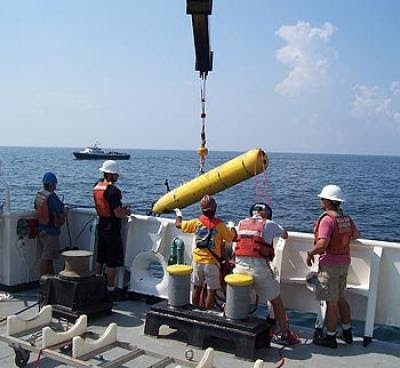 The MBARI AUV was deployed from the NOAA Ship Gordon Gunter in Pascagoula, Mississippi. The Gordon Gunter departed from shore on Thursday, May 27th. The AUV was launched into the waters of the Gulf for the first time on the morning (May 28, 2010). Autonomous underwater vehicles are robotic, untethered submersibles that are programmed at the surface, then navigate through the water on their own, collecting data as they go. The MBARI AUV can measure physical characteristics of the water, such as temperature, salinity, and dissolved oxygen, detect chlorophyll from microscopic marine algae, and measure concentrations of small particles (or oil droplets) in the water. This AUV is unique in that it carries "gulper" samplers that can collect up to ten 1.8-liter water samples while traveling through the water (or through the plume in this case). The AUV also uses cutting-edge artificial intelligence software to decide where to go and when to collect its water samples. Engineers can program the on-board computers to help the AUV find a plume and then map its boundaries, as well as take water samples both within and outside the plume. After the AUV is recovered, its water samples will be analyzed for a variety of chemicals associated with the oil and dispersants. These samples may also be subjected to DNA analysis to determine what types of algae, bacteria, or other microorganisms are present. This MBARI AUV can dive to 1,500 meters (5,000 feet) below the surface—deep enough to collect water samples near the seafloor in the vicinity of the oil spill. The vehicle typically follows a "roller-coaster" path through the water, which allows its instruments to monitor a cross-section of the ocean. MBARI engineers and scientists have been developing this AUV for almost a decade, and added its water-collection capability in 2007. One of the team's goals has been to replace expensive shipboard measurements with information collected automatically by the AUV. The vehicle has been used to study red tides and other algal blooms and to understand and perform long-term water quality monitoring. The MBARI team is excited by the prospect that their vehicle may be useful in understanding the Gulf oil spill. Information about where oil is spreading beneath the ocean surface will help biologists and others understand the effects of this catastrophic event. "MBARI's AUV and gulper system provides a surveillance and sample collection capability that is complementary to other tools being deployed to understand the fate of the subsurface plume of oil and dispersant." said MBARI President and Chief Executive Officer Chris Scholin. "Coordinating this response in partnership with government and academic institutions is not only important for providing much-needed fundamental information on the spill and its impacts, but also serves as a valuable learning experience for understanding how to respond to such incidents in the future." The more efficient dairy farmers are in managing nitrogen, the more milk their cows will produce and the less nitrogen will be wasted in manure and urine, according a study by Agricultural Research Service (ARS) scientists and cooperators. ARS soil scientist J. Mark Powell at the U.S. Dairy Forage Research Center in Madison, Wis., worked with ARS agricultural engineer Clarence Rotz at the ARS Pasture Systems and Watershed Management Research Unit in University Park, Pa., and Australian colleagues to calculate nitrogen use efficiency ratings to guide dairy farmers. Only about 20 to 35 percent of the nitrogen fed to dairy cows is converted to milk, so if farmers manage the amount of nitrogen they feed to cows, the less nitrogen will be wasted in manure and urine. Photo courtesy of Natural Resources Conservation Service. These new efficiency ratings could help dairy farmers make better use of their nitrogen in the face of escalating costs and increasing nutrient regulation. Farmers feed nitrogen in the form of crude protein to their cows, and apply manure and nitrogen fertilizer to grow crops and pasture for cows to eat and convert to milk. 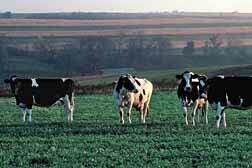 The scientists found that only about 20 to 35 percent of the nitrogen fed to dairy cows is converted into milk. They also discovered that 16 to 77 percent of the nitrogen in manure or fertilizer is necessary for grass and other pasture plants. And their study showed that between 8 and 64 percent of all the nitrogen applied to typical commercial dairy farms is converted into farm products. They determined the whole farm nitrogen use efficiency by applying the ARS-developed Integrated Farming System Model on two typical dairy farm types in Wisconsin. They used the model to quantify the effects of numbers of cows per acre and manure nitrogen credits (reducing fertilizer nitrogen applications when manure is applied) on nitrogen use, farm profitability, and pathways of nitrogen loss. The wide ranges in nitrogen use efficiency point to the fact that there is significant room for improvement by using various practices that improve nitrogen use, profits, and the environment. Nitrogen use efficiency formulas can be used as tools to promote practices that maximize nitrogen use so that nitrogen does not leave farms to pollute waterways and ground water and negatively impact air quality. From these tools, which are effectively a nitrogen efficiency audit, may come recommendations to dairy farmers, consultants, and policy makers. This research was published in the Environmental Science and Policy Journal. The Iranian researchers at University of Mazandaran measured the amount of NAC (N-acetyl cysteine) by using the catalytic properties of gold nanoparticles stabilized on an electrode bed through a voltametric measurement. NAC plays an important role in the treatment of syndrome, influenza, hepatitis, and epilepsy. Because of being a strong anti-oxidant, the medicine is also used in the treatment of cancer, cardio-respiratory diseases, viral infection, nervous disorders, and other illnesses. A suitable catalyst is required for the electro-oxidation of this substance. The test results showed that NAC takes part in Michael's additional reaction with naphthoquinone, and increases the anodic current. The increase in the current is used as a sign for NAC measurement. Fizzy tablets were used to measure NAC in real samples. The results showed that the suggested method can be used for a voltametric measurement of NAC in medicine samples. "This project is a fundamental research. The product of this research can be used as an electrochemical sensor in order to measure NAC in the biological and medical samples" Fereshteh Chekin, one of the researchers, told the news service of the Iran Nanotechnology Initiative Council. "The sensor is able to change the oxidation of NAC to 600 mV towards the positive low potential. It also has a desirable selectivity of NAC in the presence of other biological compounds such as tyrosine, lysine, methionine, tryptophan, and glutathione," She added. This research has been published in detail in Electroanalysis, vol 21, pp. 2674-2679. The researchers at Materials and Energy Research Center, Iran managed to manufacture a nanophotocatalyst coating with high performance in air pollution removal. 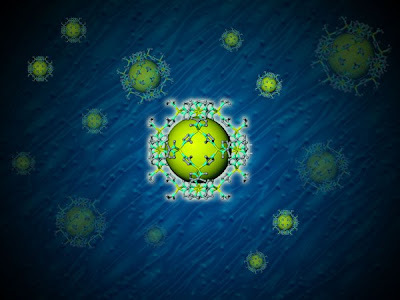 Maryamossadat Bozorgtabar, a researcher at Materials and Energy Research Center, managed to produce TiO2 nanostructured coating with high photocatalytic activity for air pollution removal by HVOF thermal spray process. The remaining anatase percentage in this kind of nanocoating is about three times more than its rivals. Manipulating the transformation of anatase to rutile in spray process, which resulted in manufacturing a coating with higher anatase phase percentage and high photocatalytic activity, by identifying and controlling the spray parameters is one of the main advantages of this research work. Thermal spray processes belong to advanced processes in the production of metallic, ceramic, and cermet coatings. Coatings manufactured by this method have specific properties such as high adhesive strength, high uniformity, and high coating rates. HVOF spray process is the most advanced thermal spray process in which raw materials particles are accelerated towards sublayer at a very high speed (1200 m/s) after being fully or partially melted. After collision with sublayer, the coating is formed. The details of this research which has been accomplished through cooperation between Materials and Energy Research Center and Isfahan Science & Technology Town are published in Modern Physics Letters B, volume 24, pages 247-255, 2010. Researchers from TUBITAK Marmara Research Center (MRC), Istanbul University and Uludag University, who are co-workers of the joint project “Cloning Of Anatolian Native Cattle Breeds Project,” obtained the first Turkish cloned calves after a 4-year research study. The male Turkish Grey calf, 25 kg, was born on 19th August 2009 and the female Turkish Grey calves Ece and Ecem were born 5th of January, Nilufer was born 9th March and Kiraz was born 12th March 2010 by cesarean section. The clon calves are named as Efe (male), Ece and Ecem (female twins) and after Nilufer and Kiraz (in Uludag University) representing the western Anatolia, the native distribution of the breed Turkish Grey. In this project, The Faculty of Veterinary Medicine, Uludag University provided the tissues from a 4 years old Turkish Grey bull. Researchers at The Faculty of Veterinary Medicine, Istanbul University transferred the embryos to carrier mother cows. The calf Efe was born in the farm of Istanbul University Faculty of Veterinary Medicine. In the frame of the same project, the tissue sample was provided by a 5 years old female cow of the same breed in Marmara Region. The twin calves Ece and Ecem were born in the farm of Faculty of Veterinary Medicine, Istanbul University. After a while, the calves Nilufer and Kiraz were born in the farm of Faculty of Veterinary Medicine, Uludag University. Cultured and obtained cells were used for the production of clon embryos in Transgene and Experimental Animals Laboratory at Genetic Engineering and Biotechnology Institute of TUBITAK MRC. Assoc. Prof. Dr. Sezen Arat from TUBITAK-MRC, the project leader, reported that a crowded and specially trained veterinary team performed a very successful cesarean section. Assoc. Prof. Dr. Sezen Arat also underlined the resistance of Anatolian breeds to diseases and harsh environmental factors. She also highlighted the sharp decrease in the population sizes of Turkish breeds. She implied that a cattle cloning was not the first in the world, but cloning of a Turkish cattle, a Turkish grey in this case, was the first. She explained the aim of the project to provide a sustainable management system to prevent the extinction of Turkish breeds.